Venus Williams (*80 / USA), winner of 7 Grand Slam singles titles, is one of the living legends of female tennis and together with her even a bit more successful younger sister Serena (*81) they are the most successful sisters in the history of tennis. 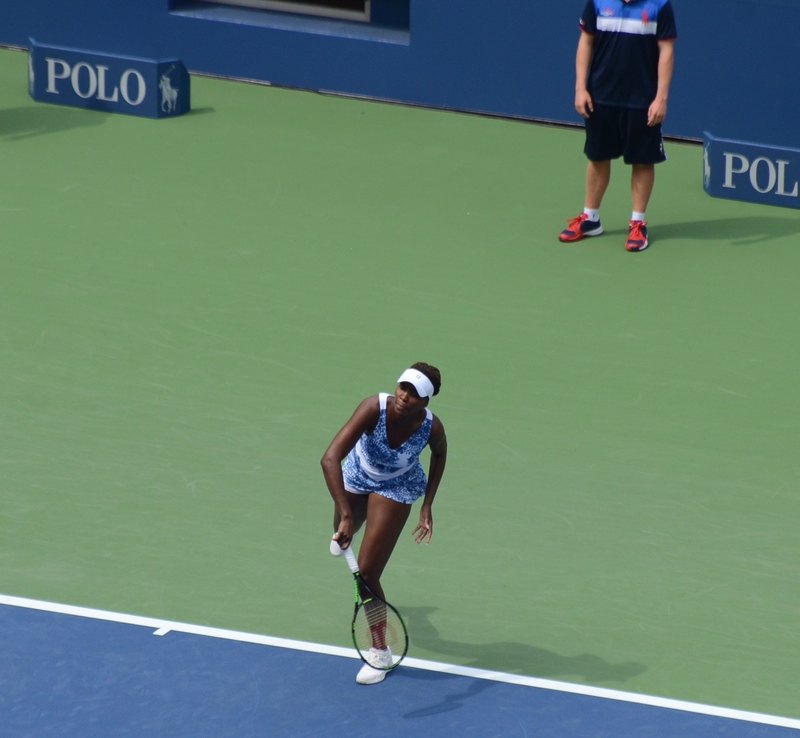 Besides their combined total of 30 Grands singles titles, they won also 14 Grand Slam doubles titles (all as of February 2017). 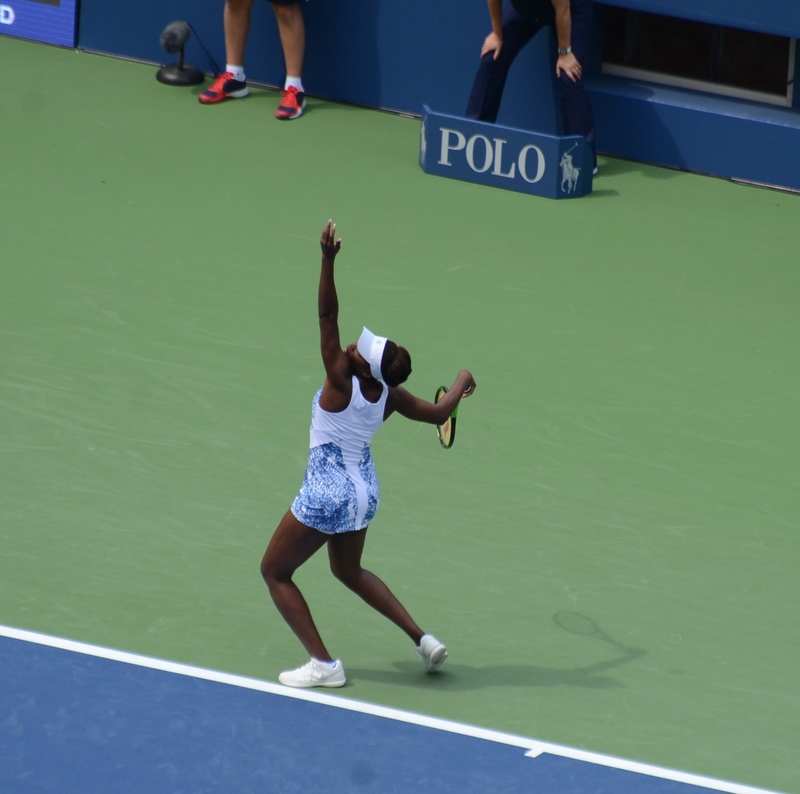 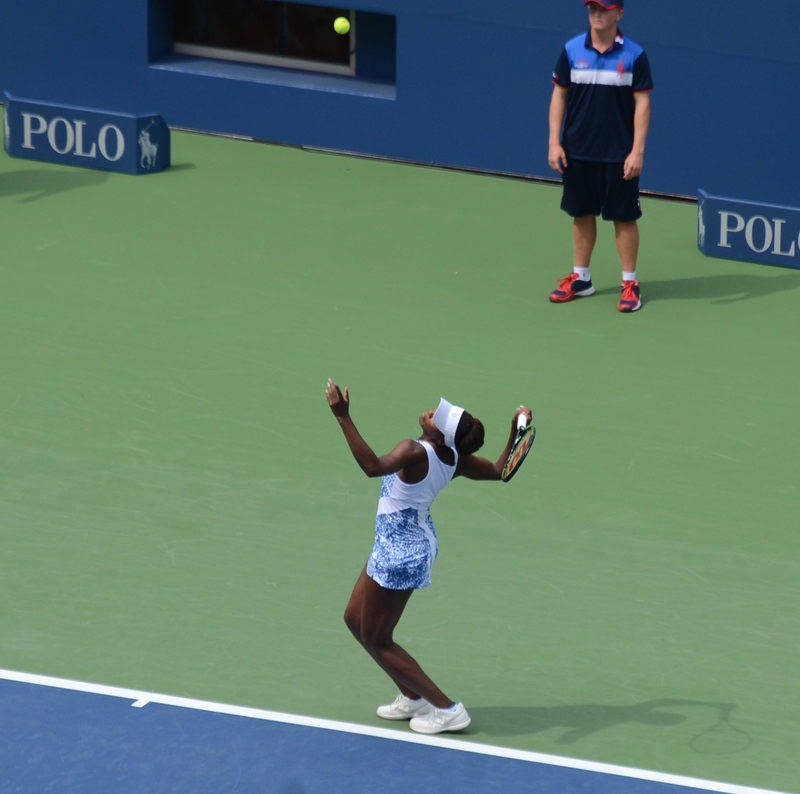 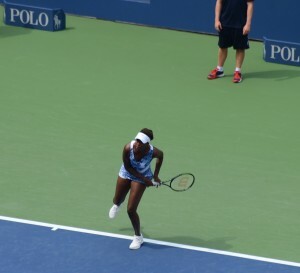 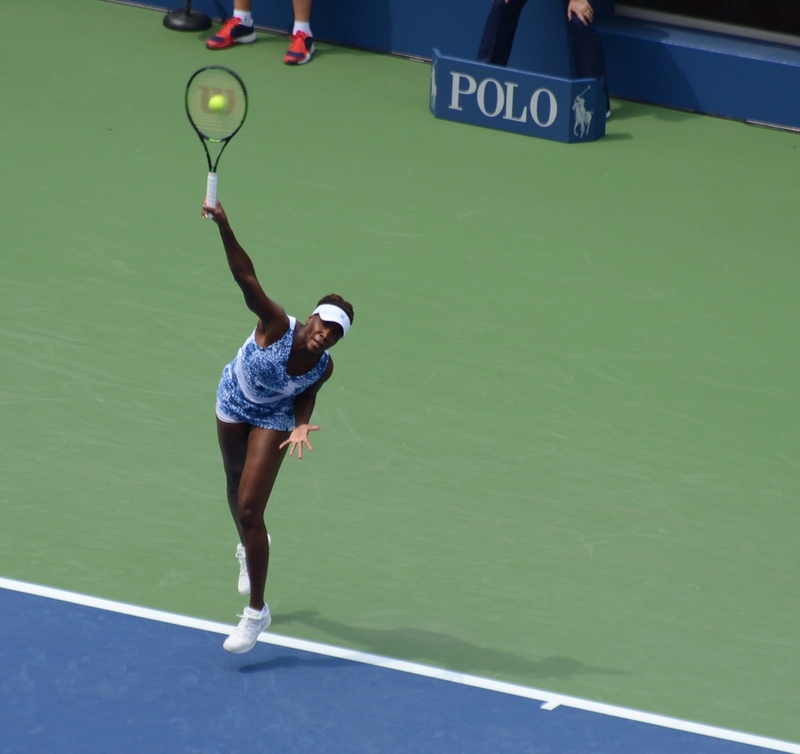 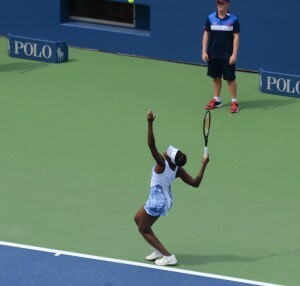 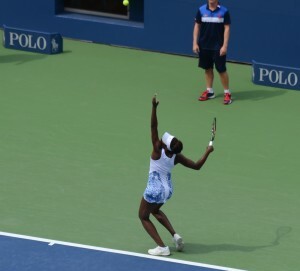 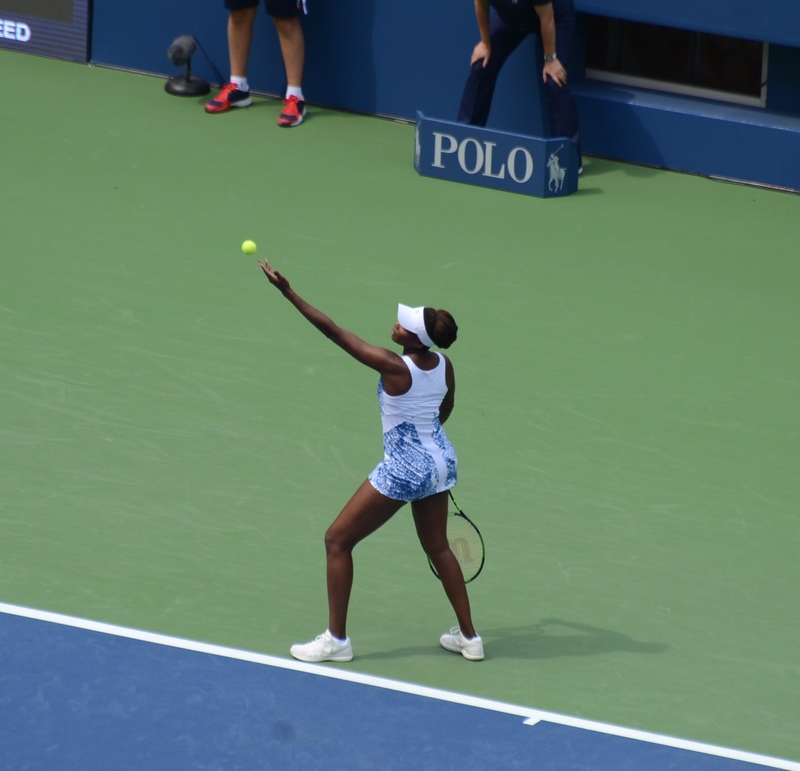 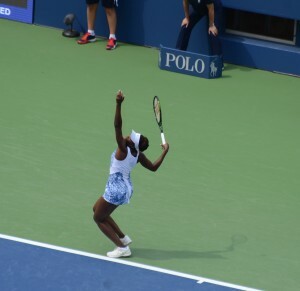 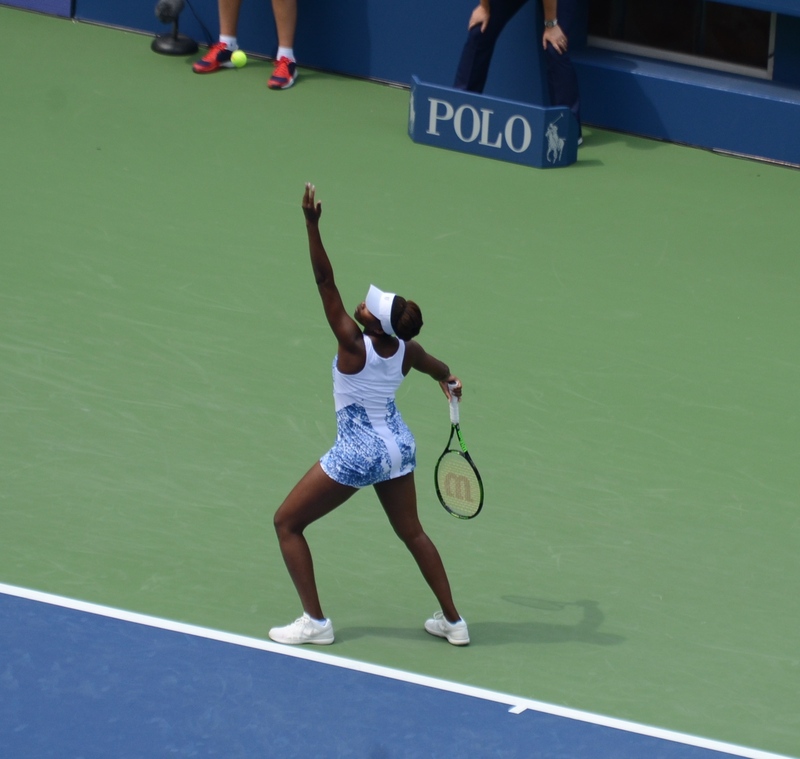 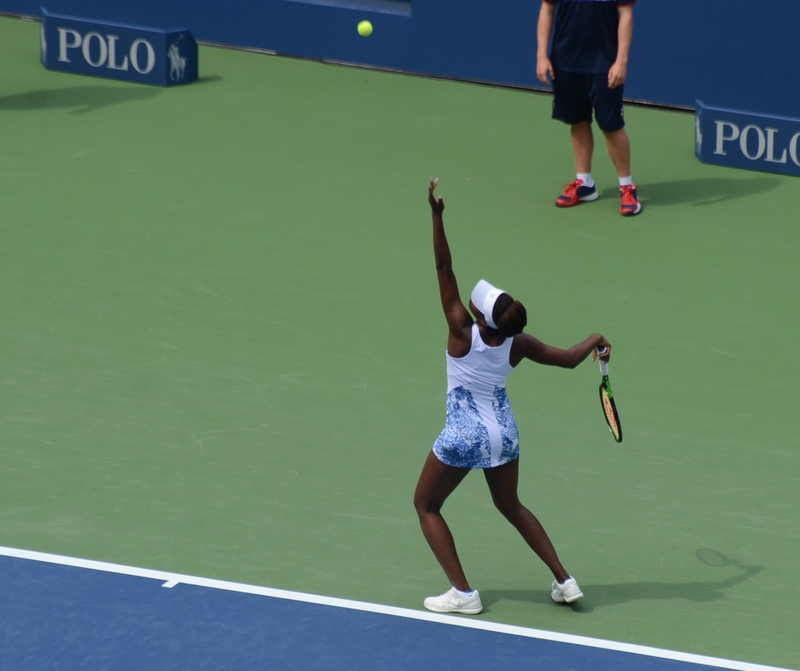 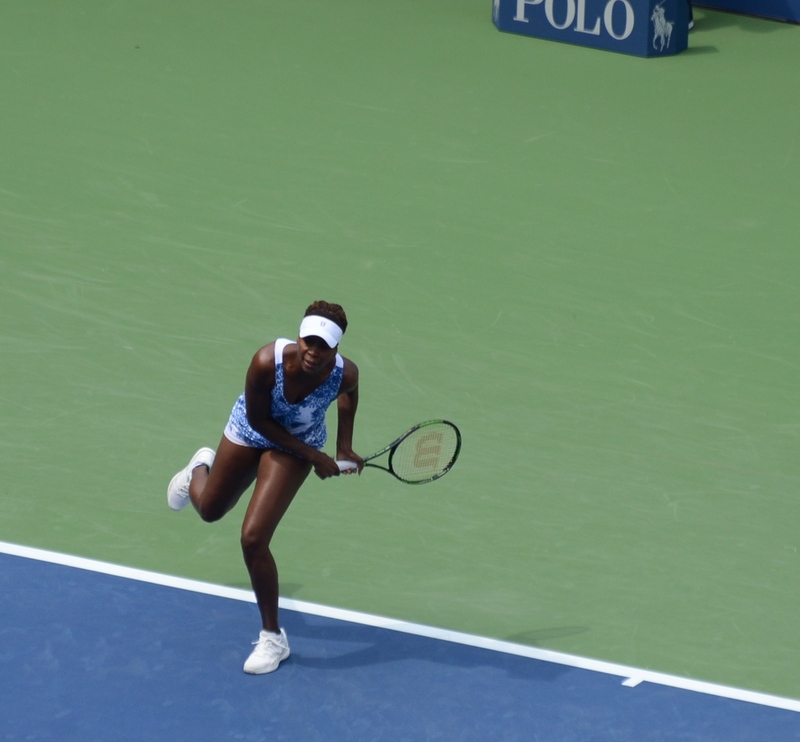 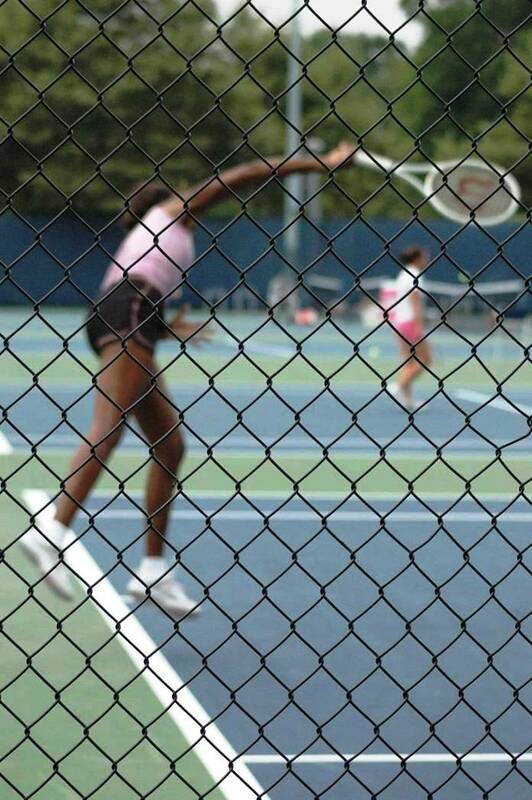 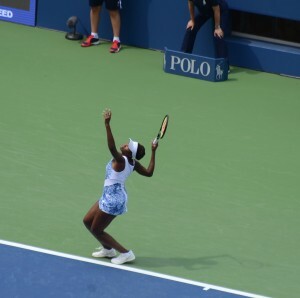 While Serena’s service is being considered as the best in the game, service of her sister Venus is not that much behind…, besides solid technique also her tall body of 185 cm (6’1”) helps. 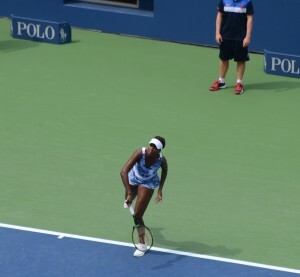 The situation that Venus tends (mainly under stress) to tilt her head to the left side before the impact might be one of the reasons for her rather higher double fault rate than the one of Serena and sometimes erratic motions… The other risk factor is the sliding of the right foot too much to the right during the transfer from the platform to the pinpoint stance, which sometimes leads to a bit premature right hip rotation forward. 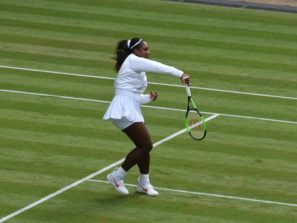 Venus otherwise uses the energy from her body in most of her services extremely well and clearly fulfills the Service 3.0 standards standing for the service dominated by the efficient use of the body energy. 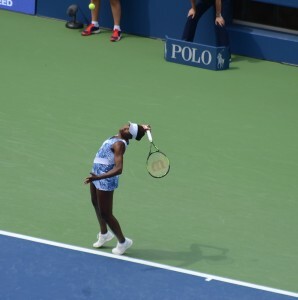 The photos from the 2015 US.Open presented below show the tilting of the head to the left side slightly only. 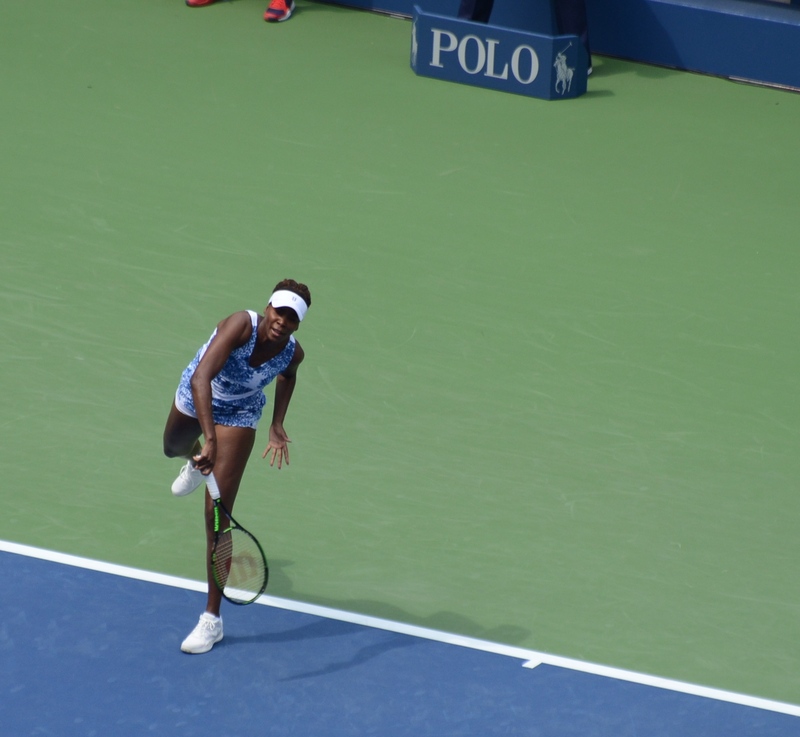 In my opinion, Venus worked on this issue, which was more visible around 2011-13. 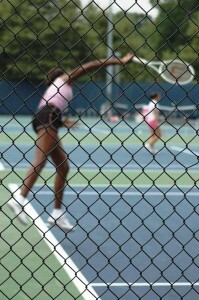 The situation as seen below is then on the border of just an idiosyncrasy.